BFK018: Photographic ‘Cabinet Portrait’ of a woman standing with one hand on a rock prop taken in 1889 at Ettlin’s Studio, 17 Chatham Square, New York. William A. Ettlin is listed in the 1902 and 1905 New York City directory as well as in Trow’s Business Directory of 1898. BFK019: Photographic portrait of a woman standing at a chair. BFK020: Photographic portrait of a woman standing at a chez lounge taken at J. Yanbrook studio, 1 Grattan’s Hill, Cork. At present I do not know who these ladies are. There is a possibility that they are all the same woman or that there are two or three different individuals featured. 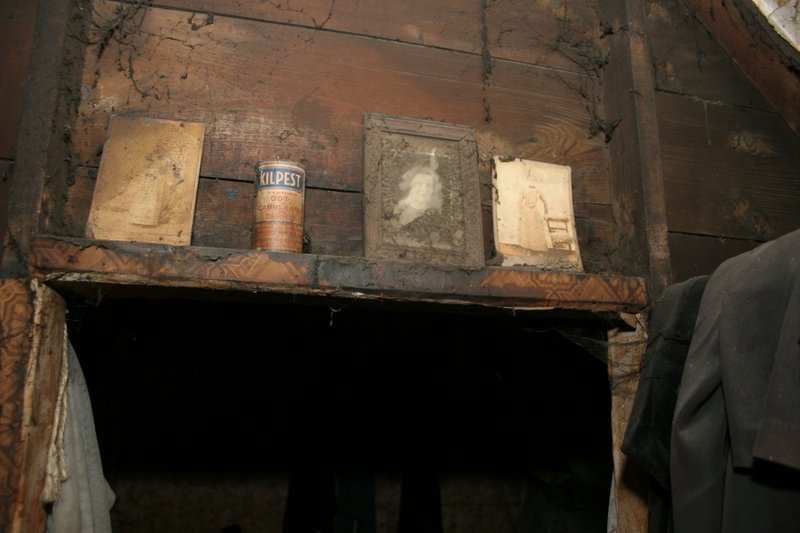 Two of the photographs (BFK018 & BFK019) were found either side of a framed photograph of the ‘blue letter lady’ (who will feature in a later blog post) above the doorway in what I interpreted as the boys bedroom. The third photo (BFK020) was found in a drawer in the kitchen.